The Old Adelaide Gaol was South Australia’s first proper correctional facility. It was operational from 1841 to 1988 and during these 147 years saw over 300, 000 male and female prisoners pass through its gates. While many entered the facility not all were able to leave. Being one of the oldest buildings in the state, the Old Adelaide Gaol houses much history, some of which is of a dark nature. View of the front of the Old Adelaide Gaol. Majority of South Australia’s executions were carried out on the grounds of the Old Adelaide Gaol. In total, 45 executions occurred on the prison’s grounds, including that of the only woman to be lawfully executed in South Australia. The first seven hangings at the gaol were performed in front of the building and became a public spectacle drawing thousands to watch the communities worst criminals put to death. Later, once public hangings had ceased, executions were moved inside to be performed on portable gallows between the prison’s walls. Twelve executions were carried out here before the prison’s newest building was erected, which included its own gallows. 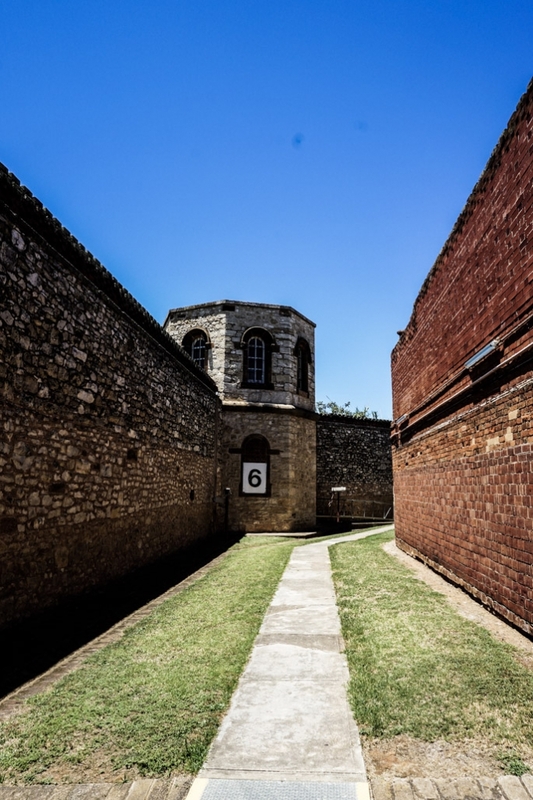 Twenty one more executions were performed in this wing of the Gaol before an old guards tower was converted to a ‘hanging tower.’ Here, four more men saw their final day before capital punishment was abolished in Australia. 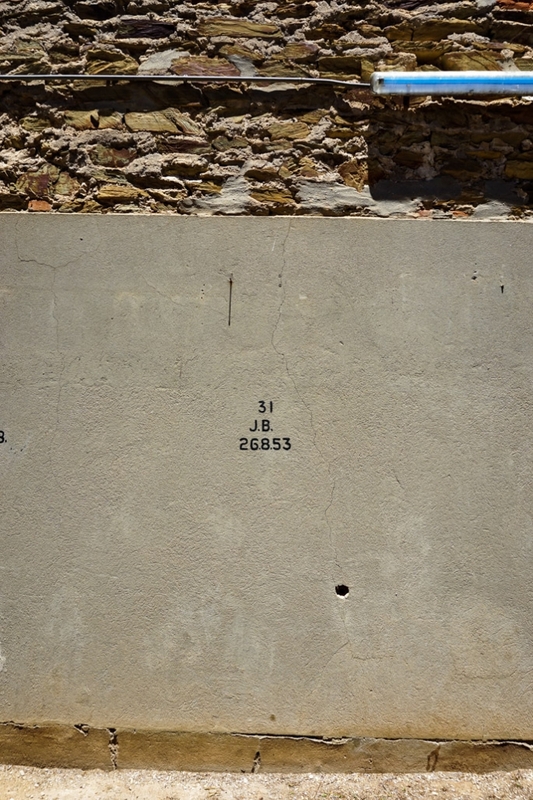 Each prisoner executed at the Old Adelaide Gaol was hung and once pronounced dead was buried within the grounds of the prison, marked by just their initials and the date of their death. Looking up at the gallows in the newest building at the Old Adelaide Gaol. The Gaol was to see many more deaths during its lifetime other than those carried out by execution. 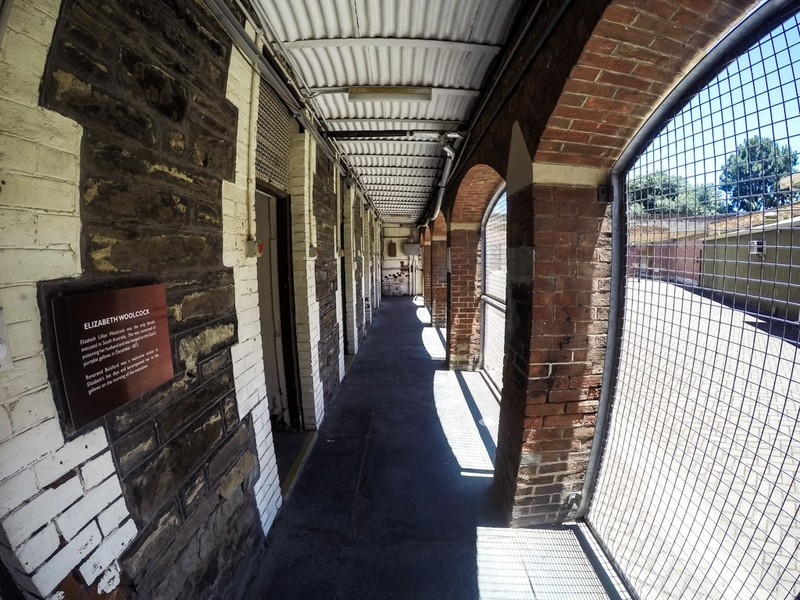 During the Old Adelaide Gaol’s history more than 200 people died within the building’s walls. Disease was a huge contributor to this number with Tuberculosis, Small Pox and Typhus claiming the most lives of both prisoners and guards. 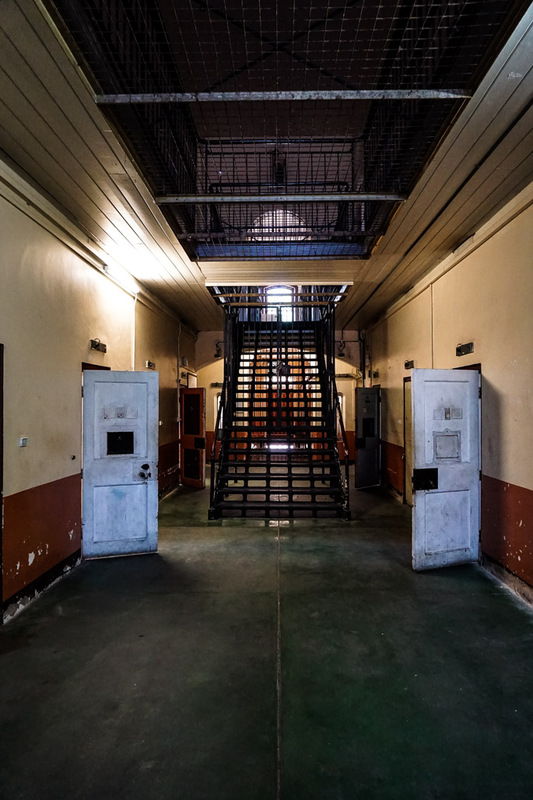 With harsh living conditions including solitary confinement, violence and punishments such as whippings, other types of death such as murder and suicide also contributed to this number. Interior of one of the Old Adelaide Gaol’s cells. 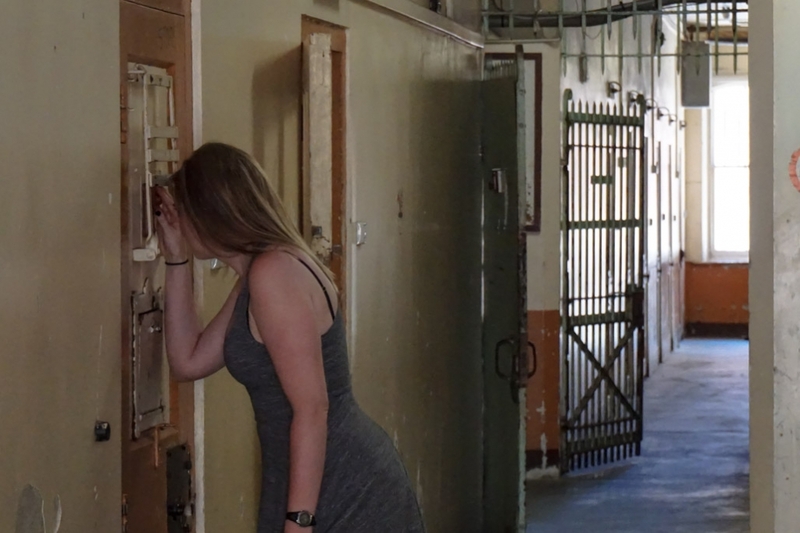 High emotions and lots of pain, suffering and death passed through the Old Adelaide Gaol. It’s not hard to believe that some spirits have remained trapped within the building’s walls. 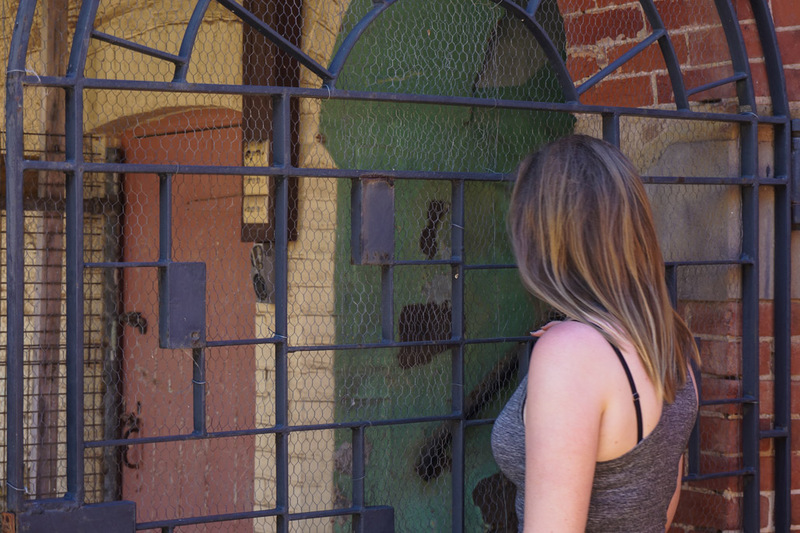 Staring down a wing at the haunted Old Adelaide Gaol. The Old Adelaide Gaol is well known as being South Australia’s most haunted location. 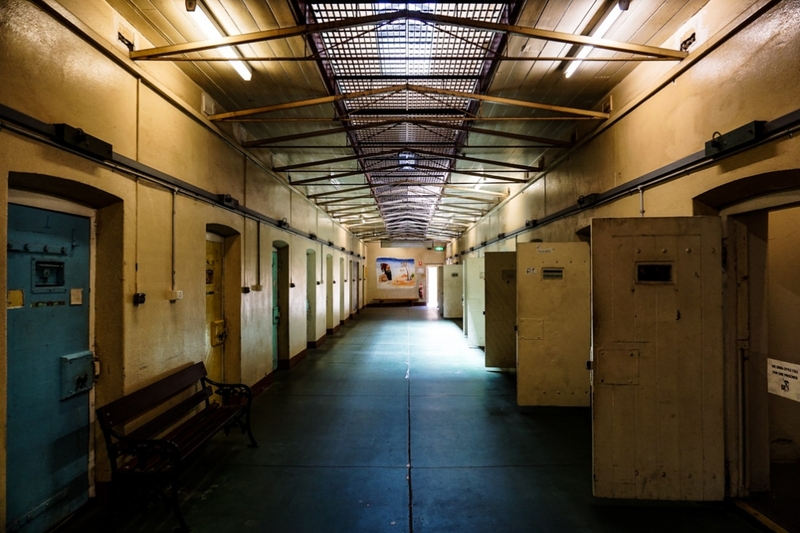 Phantom footsteps, voices and other noises are common throughout the Gaol. 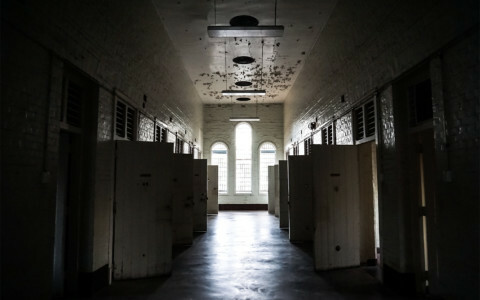 Poltergeist activity such as moving doors and items, electronic disturbances, reports of feeling presences and sudden temperature changes throughout the prison have also been reported. 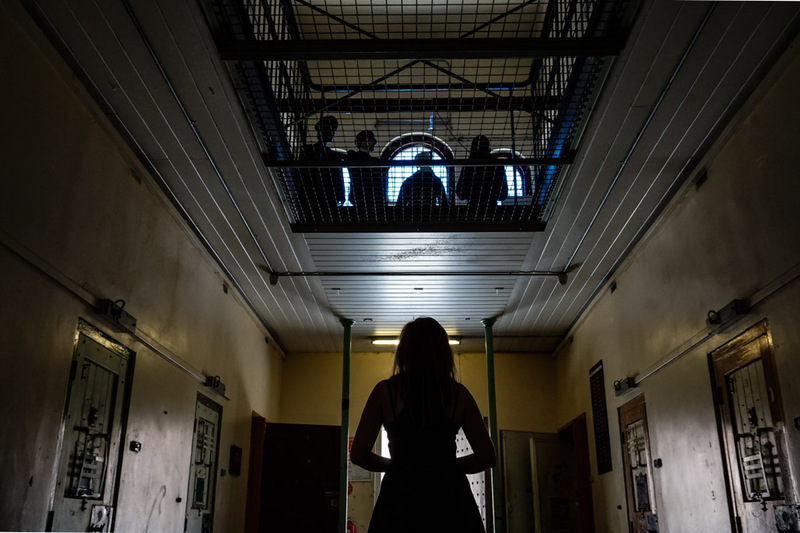 While these types of paranormal activity are common in the Gaol, some specific occurrences are thought to stem from known former staff and prisoners. Exterior view of cellblock at the Old Adelaide Gaol. One of the Gaol’s most commonly seen ghosts is thought to be that of John Balaban, a sadistic serial killer. He killed at least five people, including his own wife and six year old son. In 1953 Balaban was executed after showing no remorse for the heinous crimes he had committed. His body is now buried within the Gaol’s walls beside other murderers, yet his spirit has been seen roaming the grounds by many visitors. John Balaban’s grave on Murderer’s Row of the Old Adelaide Gaol. Another former prisoner said to still roam the prison grounds is that of the only woman executed at the Old Adelaide Gaol. Elizabeth Woolcock was hung for supposedly poisoning her husband with mercury. Today, Elizabeth’s guilty verdict has been questioned as her husband worked in a mine where he was exposed to mercury for a long period of time. Many believe she was innocent and met her death for a crime she didn’t commit. The cellblock Elizabeth Woolcock was kept in before her execution at the Old Adelaide Gaol. Former staff members are also said to haunt the prison. William Baker Ashton who was the Adelaide Gaol’s first Governor, is rumored to still occupy his former upstairs office. This same office was the place of William’s death. His body spent the night in his office until it was discovered the following morning. Since he was a large man and stiffening of his corpse had set in, he had to be removed via a window and hoisted to the ground below. Today, footsteps are often heard pacing in William’s office, believed to be caused by a heavy set man, fitting his description. Exploring the old buildings at the Gaol. Another male staff member still at work within the Old Adelaide Gaol is that of a former, unknown guard. This ghost is seen pacing through the newer prison building. His footsteps are often heard as his rounds are being made and the jingling of his keys echo through the empty wing. Hauntings within the newest building have been reported for many years. 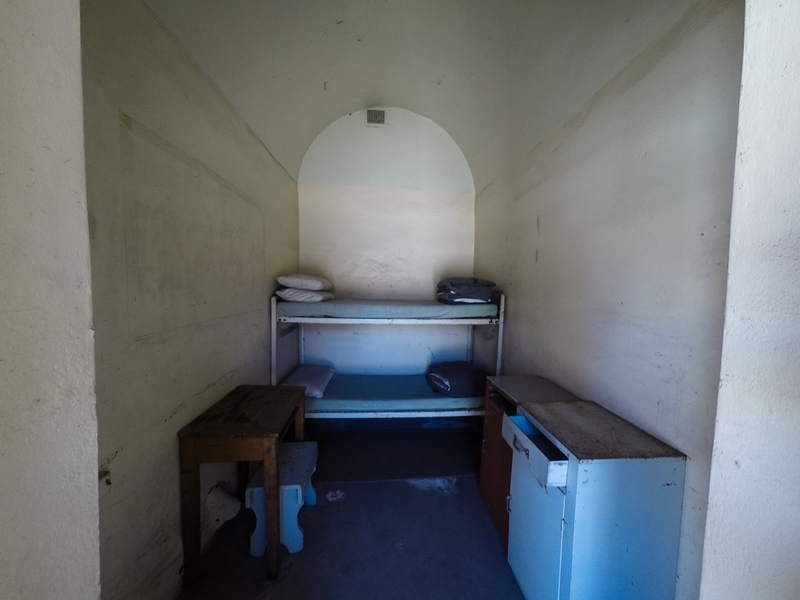 Dating back to the 1970’s when the Gaol was still in operation, many guards would refuse to do night shifts within this section of the Gaol out of fear of ghosts. The newest and most haunted building at the Old Adelaide Gaol. A ghost of a former guard still patrols this area. 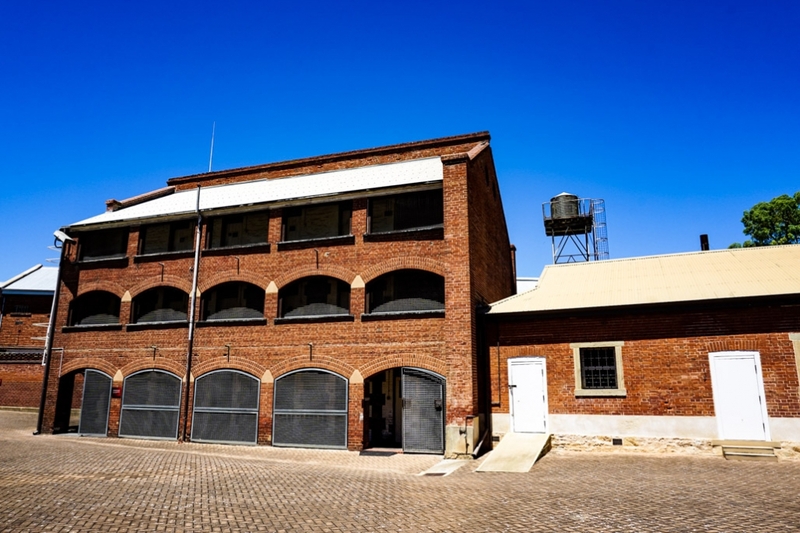 Other spirits reported throughout the Old Adelaide Gaol include that of a dark figure seen lurking near the interior walls of the Hanging Tower and a little girl who is usually seen walking through the yard before disappearing into the guard towers. Outside view of the Hanging Tower. 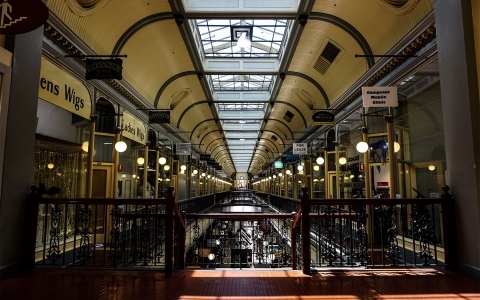 The Old Adelaide Gaol is a stunning old building that contains much history for the state of South Australia. Today, the building has been protected and preserved to function as a museum that teaches visitors about its past. 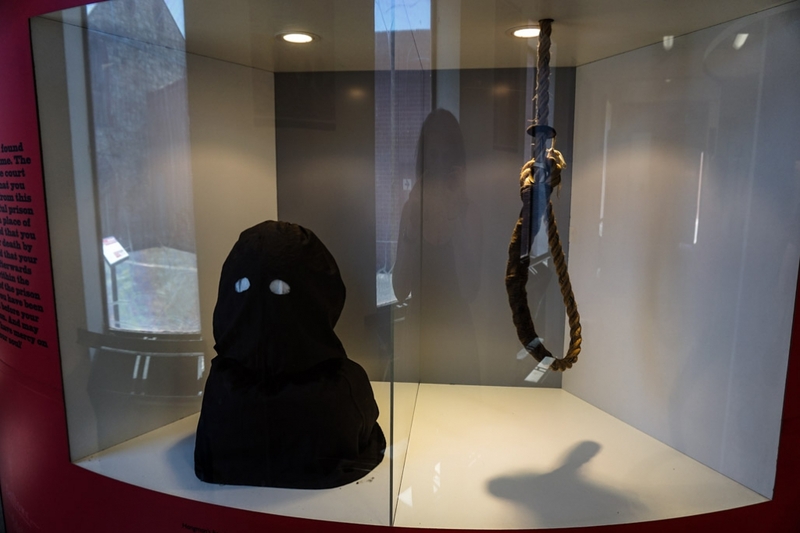 Example hangman’s mask and noose used at the Old Adelaide Gaol to perform executions. 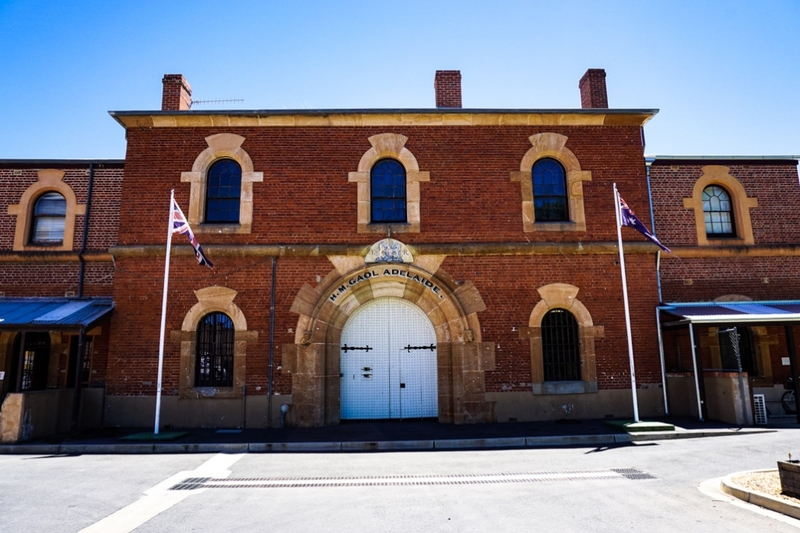 The Gaol is open during the day for self guided tours, which are great for spending a few hours wandering the yards, cells, wings and other spooky places of this curious historic building. Numerous information plaques throughout the Gaol explain the history of each room and give a glimpse into prison life throughout the ages. Many artifacts are left on display and photos allow intimate connections with the former occupants of the prison to form. General history tours and nighttime ghost tours are offered by the museum and are popular amongst visitors. Peering into cells in the most haunted part of the Old Adelaide Gaol. 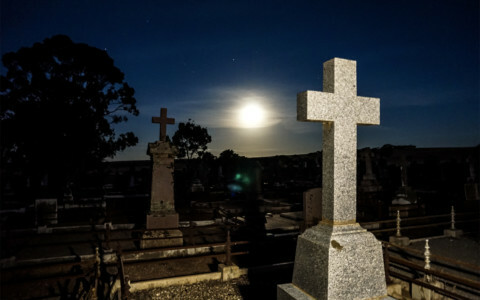 If you enjoyed this blog and want to check out other haunted spots in South Australia I recommend checking out the incredibly haunted North Kapunda Hotel or St Johns Cemetery.